Showing off his versatile style and his skills as a collaborator, Kazzie shares Kazzie & The Wavy Bunch, a ten-track new mixtape. 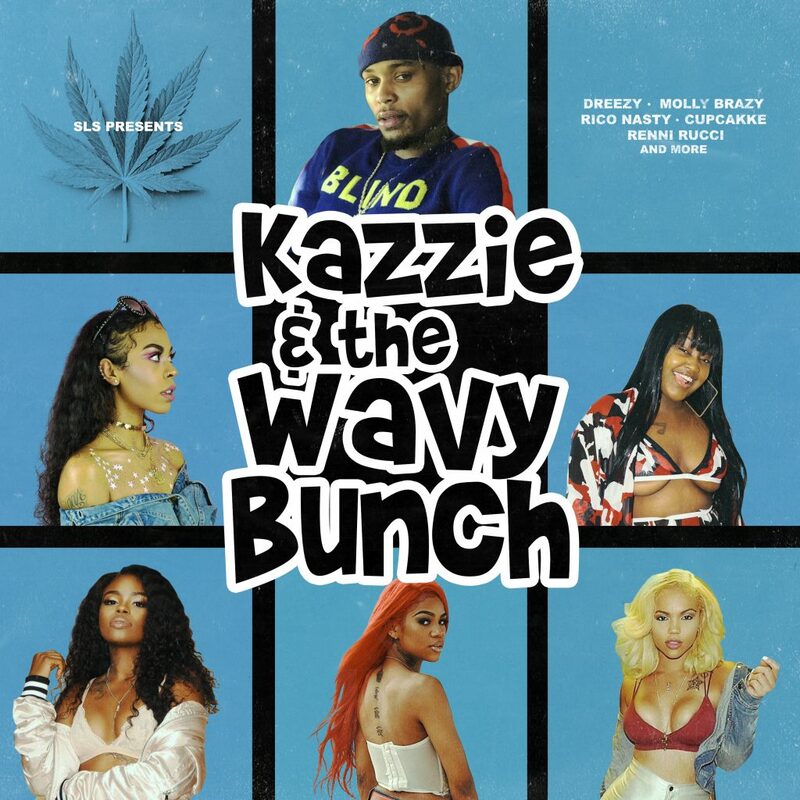 On the new mixtape, Kazzie demonstrating his electric chemistry with a cadre of rising female emcees, as he harmonizes with Rico Nasty on “Think I’m In Love,” talks tough with Molly Brazy on “With It,” and gets romantic with Dreezy on “Going Nowhere.” Featuring an additional appearance from South Carolina’s Renni Rucci, Kazzie & The Wavy Bunch finds Kazzie adapting his style to fit his collaborators, shifting the production, style, and subject matter to best fit his current collaborator. Arriving via SLS Entertainment, Kazzie & The Wavy Bunch is a fascinating concept record and an excellent intro to the wavy world of Kazzie.